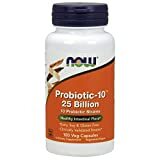 Probiotics are quite popular these days with many people incorporating them in their regular diet. To meet the demand, manufacturers are offering a wide array to health-conscious individuals that are amazed at their purported benefits and minimal effects. Even so, it is important to learn more about probiotics before consuming or introducing them to your loved ones. The simple answer to the question “What are probiotics?” is that they are live bacteria that are good for the digestive system. Often referred to as good bacteria, probiotics keep a person’s gut healthy and are found in many natural foods as well as supplements. The consumption of Probiotics has been seen to grow in recent years compared to earlier times when they were the reserve of a few. The leading reason for their increased consumption is the change in the eating culture as well as refrigeration of foods, sterilization of foods and use of medications such as antibiotics which affect the normal functioning of a person’s digestive system. 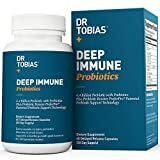 It is believed that increased consumption of probiotics cleans the digestive system through the introduction of “good bacteria” in the intestines. The bacteria offers support to the immune system resulting in better health. Some of the microorganisms that are available in most probiotics are Bifid bacterium, Lactobacillus and even Saccharomyces boulardii. These microorganisms affect the body in a variety of ways and are quite beneficial in the long run. 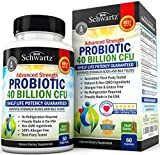 Choosing the best probiotic for you? The Bifid bacterium probiotics typically found within the intestines and is often referred to as lactic acid bacteria. It is available in a variety of strains which offer an assortment of health benefits to users. These strains are Lactis and Bifidum which is good for immunity; Breve which is the best for anti-aging and GI support;Longum which helps with brain function and constipation. The Streptococcus probiotic has a strain named S.Thermophilus which helps prevent diseases in the body. The strain also offers skin support and at times GI support when consumed in appropriate quantities. One major benefit of the probiotic is that it protects the skin from dehydration and infection among others. The Lactobacillus “good” bacteria live in the genital, urinary and digestive system. It has multiple strains that provide relief from certain types of ailments that affect various body parts. The strains that make up the lactobacillus probiotic are L. Plantarum for inflammation; L. Rhamnosus for eczema and GI support; L. Casei is best for brain function and diarrhea; and L. Acidophilus which is best for acne, diarrhea and vaginal health. As the gravitation towards the use of probiotics increases so does the market which offers them to consumers. It is common to find thousands of these supplements online, which might make it hard to choose the best one. However, there are some that stand out and have become popular among probiotic enthusiasts and have a huge fan base. Some of them are listed below. Megafood - The probiotic is ideal for individuals seeking help when recovering from the use of antibiotics. It fills up your gut with “good” bacteria and flushes out every toxin brought in by antibiotics. 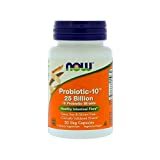 The probiotic is sold in containers of 30, 60, and 90 capsules which retail at different costs. Additionally, it is a certified vegan product making it ideal for those looking for such probiotics. 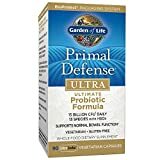 Renew life –This probiotic is best for boosting immune health as it contains bacteria that help improve respiratory infections. It also helps in the treatment of diseases that affect the autoimmune system.Its cost is approximately fifteen dollars making it accessible to the majority of people seeking to buy probiotics. Vita Miracle –The probiotic is excellent fordigestive health and is sold in capsule form, with each bottle holding at least thirty of them. It does not contain dairy or gluten making it ideal for those with sensitive digestive systems. It is affordable with its cost being just under thirty dollars. How can probiotics help you with your health? Majority of probiotics comprise of “good bacteria” that help balance out the population of bacteria in the digestive system. The balance ensures that the amount of harmful bacteria brought about by illness or poor diet reduces significantly. When both bacteria are balanced out, the result is many health benefits that are experienced immediately or within a short while. Boosting the immune system and preventing the growth of harmful bacteria in the digestive system is another benefit that consumers of probiotics enjoy. Some “good” bacteria boost natural antibodies production within the body. At times, they also contribute to the increase of immune cells such as T-lymphocytes and IgA-producing cells among others. The consumption of antibiotics can sometimes result in diarrhea because they alter the composition of bacteria in the gut. Taking different types of probiotics reduces the duration of diarrhea or even preventing it altogether. Apart from antibiotic-related diarrhea, the “good” bacteria can also reduce the risk of developing other types of diarrhea as well. In most cases, the effectiveness of the probiotics depends on the dose as well as type taken. 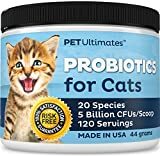 Apart from the regular health benefits offered by probiotics, they are also useful special health conditions like lactose intolerance, candida, and gingivitis. Lactose intolerance - Consumption of probiotics by lactose intolerant people is possible because it helps reduce the symptoms that are associated with the consumption of dairy products. The use of probiotic supplements makes it possible to digest milk as well as other types of dairy products. Candida - The Lactobacilli strains of probiotics are known to produce lactic acid that has antifungal and antimicrobial substances that inhibit candida growth. The probiotics that help prevent candida are available in the form of supplements while others are contained in certain foods. Gingivitis – Bacteria imbalance in the mouth can result in gum diseases such as gingivitis. However, the consumption of probiotics such as lactobacilli can help restore the balance in the mouth thus effectively preventing gum disease or treating it. 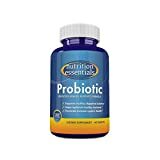 The increased popularity of probiotics because of the benefits they provide in the body are well known. These benefits have led to increased consumption of supplements as well as foods that contain probiotics. However, the introduction of “good” bacteria in the body can also result in some side effects such as bloating. Bloating may cause a bit of discomfort which goes away in a short while. 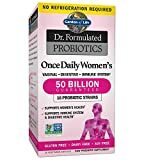 Nevertheless, the majority of probiotics do not cause any adverse reactions in the body and are safe for consumption by both men and women. How can you tell what are high-quality probiotics? Although probiotics are getting popular by the day, it is important to consume high-quality ones at all times. Fortunately, there are many available with some sold over the counter while others have to prescribed by a physician. No matter your needs, you will find a probiotic that offers you the right benefits. So, how do you know a probiotic is good quality? The quality of a supplement of “good” bacteria is essential and should be verified before it is consumed. One of the ways to tell if a probiotic is of good quality is to check whether it has been used as part of a clinical trial and if the results were positive. Also, confirm if the dose used is the exact one being offered to you or slightly similar. Ensure that the probiotic has been approved by the regulating authority in the local area or even at the national level. 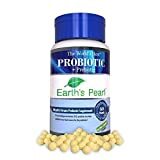 Some of the popular types of probiotics are lactobacilli, bifid bacteria, and yeasts such as Saccharomyces boulardii which are made up of a number of strains. If you come across other types of probiotics, it is essential to research and consult a physician to ensure they are good quality. 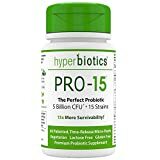 To ensure your probiotic is high quality, ensure that you go for a professional brand and purchase them from reputable health professionals. 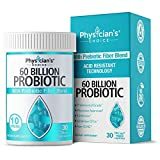 Most of these brands invest a lot in the proper manufacture of probiotics supplements and ensure they can survive in the store and your gut as well. The Best Probiotics are those that contribute to the overall well-being of the individual consuming them. However, it is essential to understand the ins and outs of the “good” bacteria before taking them as a preventative measure or to get relief from a specific ailment. Ensure that you can quickly pick out a high-quality probiotic and use it appropriately to enjoy the full benefits it offers.